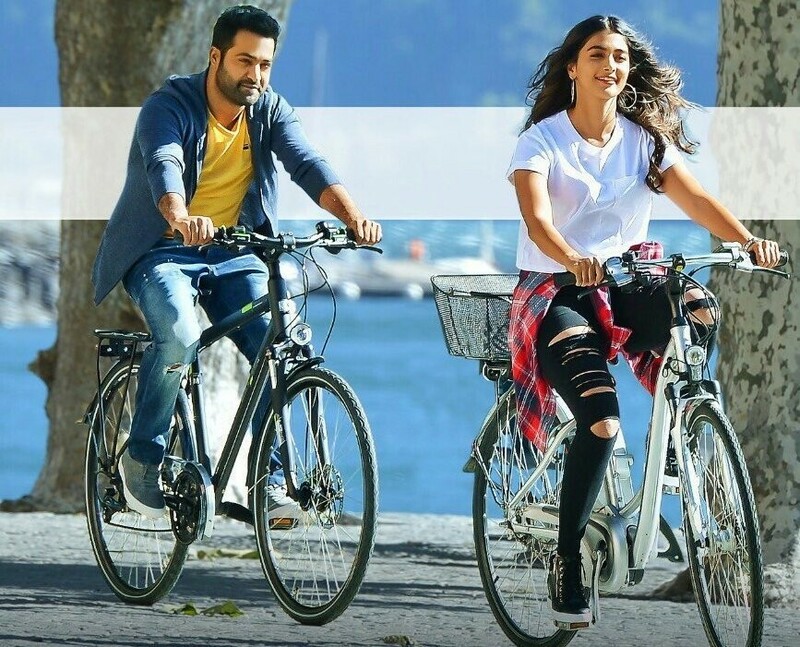 Trivikram’s Aravindha Sametha Veera Raghava is a bit of a throwback to the factionist rowdy fests of yore, albeit with a bit of a difference. How much of a real difference though? Veera Raghava Reddy (NTR Jr) returns to his village after studying abroad. His father Narappa Reddy (Naga Babu) is delighted to see his boy back at home although he is worried by a recent escalation in a decades old feud with Basi Reddy (Jagapathi Babu). Predictably enough they are ambushed on the drive home. What does a good son do when he is the heir to conflict? Is killing and mayhem the only way? Or can a Telugu mass film hero broker a lasting peace based on doing what is right for the people? There was some character development for Raghava, if not for anyone else. It was good to see him learn from both experience and from wise counsel, and then apply those learnings. Raghava struggles with the community’s expectation that he will be a carbon copy of his father. NTR Jr is excellent and can show restraint and slow burning rage as well as going for the big emotional notes. We get to see Raghava in shock after a very traumatic incident, and his ensuing grief. He’s not superhuman although of course he has the usual kit of gravity bending tricks up his sleeve. This is a film where the hero is often seen simply sitting and thinking. He can dial a conflict down to a terse conversation as well as firing up at the villainous Basi Reddy. He has goals and makes his decisions in light of the objective. At key times people tell him that the man that prevents a war is a great man. Raghava also believes the man that wants peace has to have the strength to win a war. The hero must win, but maybe not in exactly the way usually predicted in this style of film. Aravindha might be a bit princessy but as she says to Raghava, nobody is only what they appear to be. She tells him straight up what she expects from a partner. She also tells him women think hard about which man they will be best suited to while men see a pretty face, hound her ‘til she gives in, then leave her at home and bugger off to do whatever. When he considers the example of his own parents it makes him realise that he needs to change if he wants to be with Avi. He still decides to go win his war but promises once that is over, he will concentrate on her from that moment onwards. Which is a bit of an each way bet but as this film is kind of about compromise and negotiation it is fitting. Pooja Hegde is stunning, and while Avi is perfectly happy to get by on looks when it suits her, she has a sharp mind and a healthy dose of self-awareness. They have a nice rapport and I liked that the film took the time to show them talking, helping each other with little things, and feeling their feelings. 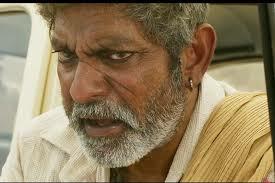 Jagapathi Babu is quite the villain de jour in Telugu films. I loathed Basi Reddy but kind of loved the boots and all commitment to making him despicable. There’s no subtlety in the character but the performance has some beautifully modulated beats and peaks that add an edge. Sunil was effective as the decent guy who helped Raghava out, mercifully not bogging the plot down in Comedy Uncle mode. Naresh and Srinivasa Reddy were tedious and time consuming. Rao Ramesh and Subhalekha Sudhakar added another element as the crafty career politicians who have drifted away from representing the people and were caught up in winning for the sake of winning. And many That Guys flew across the screen, bleeding, screaming, crying, and suffering for their art. Eesha Rebba also had a tiny role with not much to say for herself, but her expressions were perfect for an irritated younger sister. Supriya Pathak and Sithara both deliver some strong dialogue on the folly of men indulging in constant bloodshed and who pays the price. Easwari Rao and Devayani play silent wives of warring men, but both can pack a punch without saying a word. Which is just as well since Trivikram silences them just at the moment when they should have been heard. It is telling that when the hero is delivering a big speech about what he learned from the women in his life that none of the women, who are all present, gets to speak for herself. So everyone ignored what the women said until the biggest baddest strongest man repeated their words, then everyone listened to him. Again, nice idea but didn’t quite land the execution. I’m not saying this is a totally sensible version of a mass film. Who sets up a high security meeting complete with metal detector at the entrance and then leaves a nail gun lying around! The percussion of the BGM matched Tarak ferociously beating his opponents with sticks. And Trivikram gets Raghava’s shirt off in perfect mass style in the midst of raging carnage. The device by which Trivikram got Veera Raghava Reddy into Aravindha’s home as driver/bodyguard Raghava could only aspire to be called flimsy. And there are the usual 50 to 1 fighting odds when our hero takes on truckloads of armed rowdies and emerges with nary a blemish despite the unbridled enthusiasm of the Fake Blood Department. The upbeat songs were most successful in their picturisations. Peniviti was made unintentionally funny with all the stringed instrumentalists getting soggy in the rain. 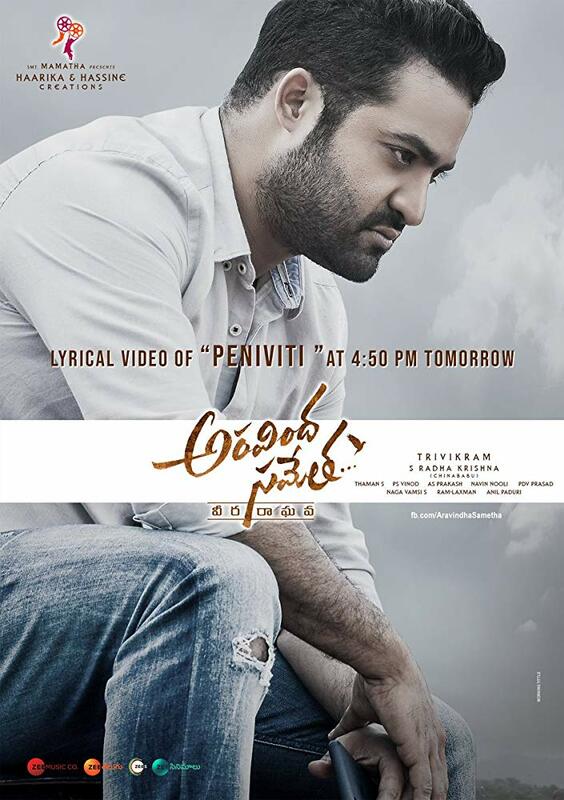 Tarak is amazingly talented and looks like he is having a ball when the music kicks in and he can go for it. Pooja Hegde doesn’t really try and keep up with him but she puts a lot of energy into Reddy Ikkada Soodu and does some excellent face. There are some minor similarities with the recent Rangasthalam, like the setting and a hero who takes on a sociopathic Jagapathi Babu character. Unfortunately one also seems to be the dodgy subtitles. Is gizzard curry really a sign of love? What are cooling glasses and when should one wear them? Does administering Celine really cure a fever? How much chaos is required before your shirt buttons pop off? Ladies, would you be carried away by a man who says he looks like a sword with a moustache? 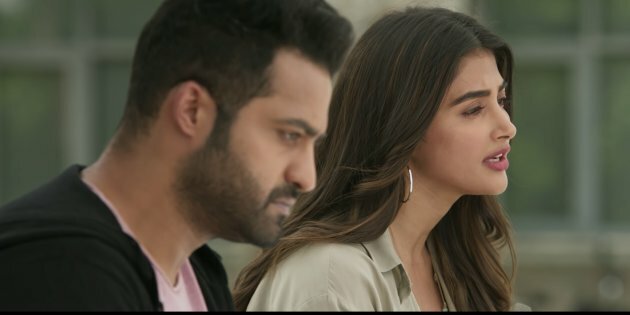 It’s sad to see scrimping on something like the subs which shouldn’t be an afterthought, and would help capitalise on the success of other Telugu films with new markets. Trivikram has tested the water for a new kind of hero but ultimately falls back on the old standards. Tarak is really coming into his own as an actor and makes the most of the range he’s given here, and the female ensemble cast was exceptional. See it if you like epic revengey films and have a high tolerance for gore. This entry was posted in Tollywood and tagged Devayani, Easwari Rao, Eesha Rebba, Jagapathi Babu, Naga Babu, NTR Jr, Pooja Hegde, Sithara, Sunil, Supriya Pathak, Tarak, Telugu, Trivikram. Bookmark the permalink.